GET A 30-SECOND QUOTE HERE! Prices Only $99 And Up! Download The TV Mount Charlotte App To Win Our Free TV Installation Every Month! Every TV wall mounting service needs an intelligent and fast-thinking installer. Our lead installer Jay, a Desert Storm vet, is a Charlotte native. 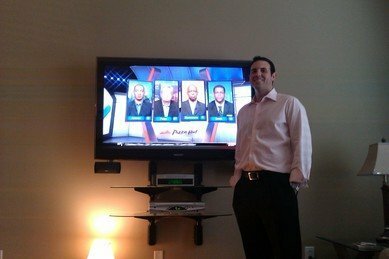 Jay has amazing 5-star reviews for wall mounting TVs and has most TV install times down to an hour or less. 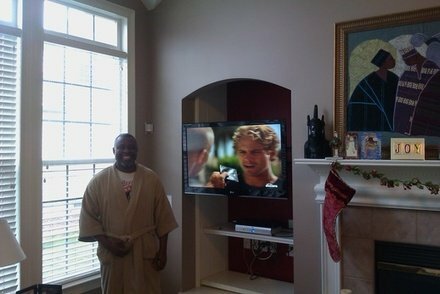 He has operated the leading TV wall mounting service and provided wire concealing for over 25,000 TVs in the Charlotte area. Jay has extensive experience in low-voltage wiring from years of pre-wiring new construction homes and installing cable, phone, internet, and satellite systems in residential homes and commercial buildings. 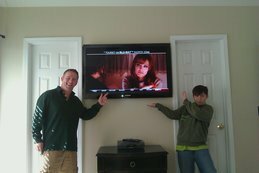 Installing your TV wall mount onto the wall is the easiest part of the TV mounting service we offer. Concealing your TV wiring in the wall and attention to detail is what separates us from the average TV installer. Eliminate the middleman and contractors. No texts or emails. No missed appointments or wrong equipment when we show up. Finally, a professional TV wall mounting service you can depend on. 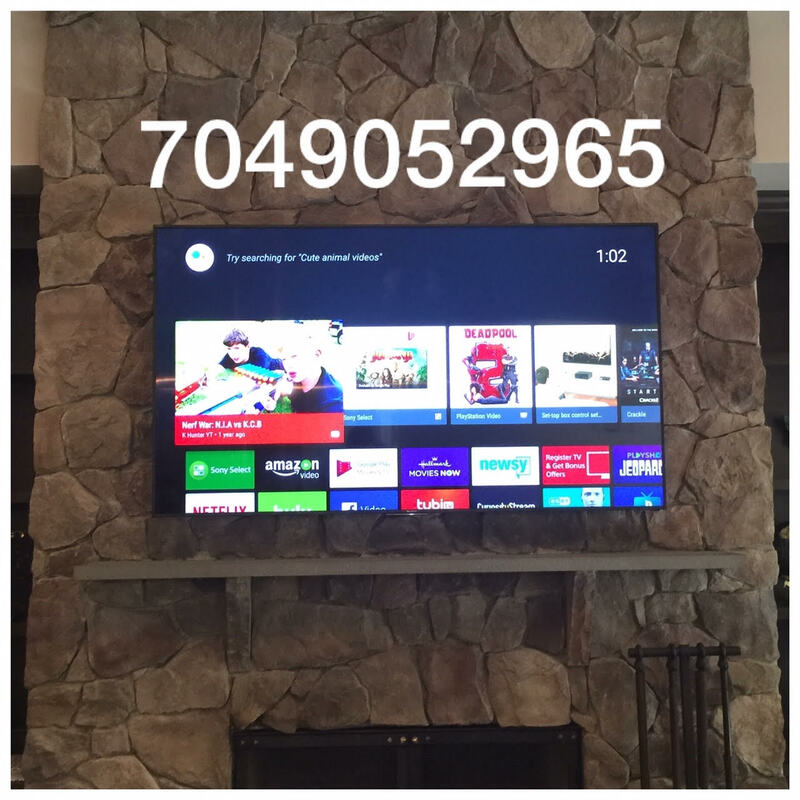 We schedule same day and next day TV installation appointments based on availability and always provide the correct TV mount if you need one. Too busy to call? We have listed our TV wall mounting prices and costs of other services we offer. Get an instant online TV installation quote without picking up the phone and call us whenever you are ready to schedule. 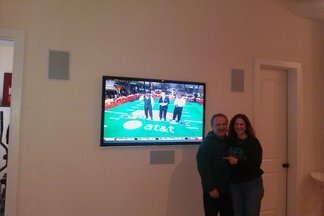 We have uploaded thousands of pictures of our TV wall mounting service to our Pinterest page to give you some ideas about your personal installation before we visit. What Is A TV Mounting Service? 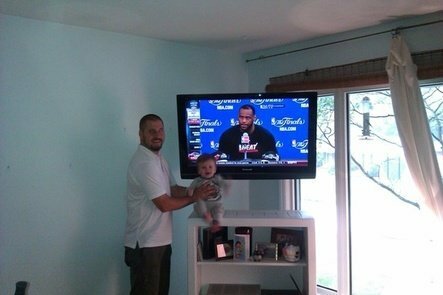 A TV mounting service is a business that offers professional flat screen TV and monitor on-wall installation and in-wall wiring services. 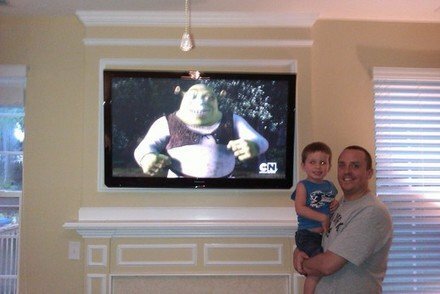 Many TV wall mounting services are offered by professional AV installers, home theater companies, handymen, painters, and moving companies. Welcome to the home of Charlotte’s top choice home theater and TV installers. 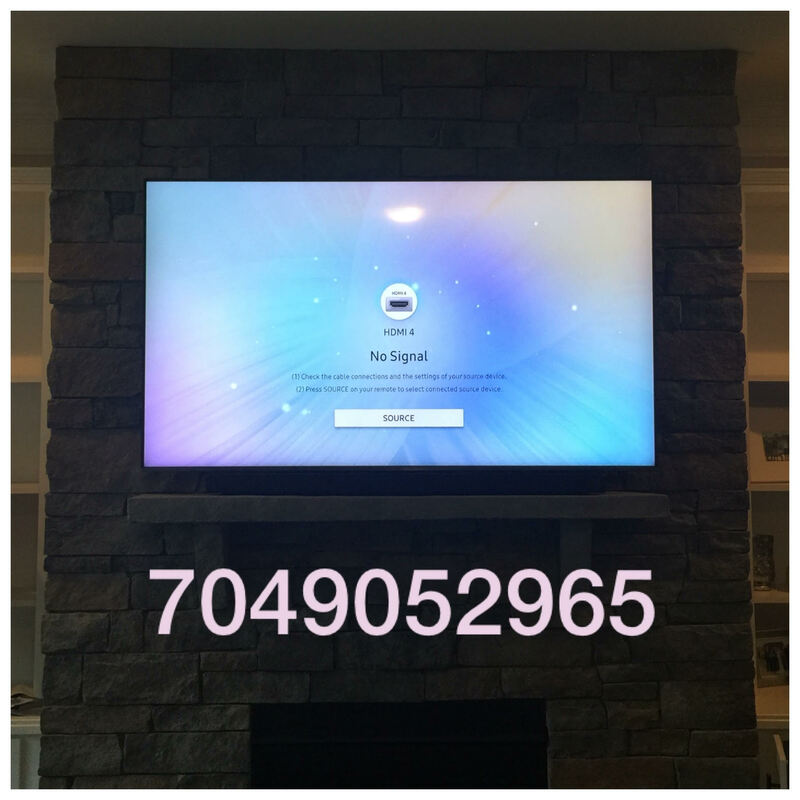 TV Mounting Services For Zip Codes: 28025, 28027, 28075, 28078, 28097, 28104, 28105, 28115, 28117, 28120, 28134, 28136, 28173, 28202, 28203, 28204, 28205, 28206, 28207, 28208, 28209, 28210, 28211, 28212, 28213, 28214, 28215, 28216, 28217, 28226, 28227, 28262, 28269, 28270, 28273, 28277, 28278, 29707, 29708. Professional Home Theater Installation Licensed, Bonded & Insured FREE TILT MOUNT INCLUDED WITH EVERY TV INSTALLATION! Prices only $89 and up!